Next Sunday I will really go on holiday. All the rest (including the maintenance of the site) will restart from september 5, just in time for the first birthday of this site. As I promised, here is an appetizer (at low quality) of what's coming out from the ex-Love Revue; we will soon reveal the new name of the band. After having tried in every way (with about ten different dedicated software tools) to recover the pictures of last Friday from the damned unreadable memory card, I had to give up: it is not even possible to reformat it for a future use! I parked it in a drawer, hoping to discover soon some other method to try. After a few days of quiet silence (I really needed that! ), I'm coming back to this site. HUGE THANKS to the wonderful people in France who made us really enjoy the gig!! Au revoir & merci beaucoup!!! During the trip back to Italy, we received a proposal for a gig in San Remo, just in time to refill the calendar page that was completely emptied after the completion of the Toulon date. To celebrate the thousand visits to the site, I publish for the first time an audio content: my recording of Beat Me Till I'm Blue, second song of last Sunday's show by Mike Painter & The Family Shakers, made with... my digital camera! The lineup who plays the song the minimal one, i.e. the quartet, without the horns and obviously without me. I don't assure that I will leave the track on the site for much long, so... hurry up and download these 3 megabytes of instrumental beat!! Before leaving for the next gig, I uploaded the scan of the original lyrics sheet for "Go Up! ", as written by me the same night as we recorded it. You may find them on the Family Shakers page as well as on the "Go Up!" lyrics page. The flyer of the next gig may be downloaded here. Powerful show for the Family Shakers yesterday night at the Beat Epoque festival! Unfortunately we were informed that the next gig will not see us paired with Brian Auger, who suddenly declined the invitation. Some refining here and there: I added a lyric in the related section, where I also added the authors of the songs for which I found them; I also uploaded a flyer for the next Family Shakers show. Please note that the Mike Painter & The Family Shakers show on July 24th will be shared with the great Brian Auger!!! Look in the Events Calendar under the 3rd of July, and you will find a concert titled "Canzoni Per Un Amico" (Songs For A Friend); it's a show in memory of Walter Sabino, a great person, journalist, musician (a wonderful bass player), and a friend of mine, who died in february for a brain cancer whe he was only 34. He had a huge lot of friends in the music circuit, so this free event definitely had to happen, coupled with fund-raising opportunities. Jazz, Soul, Rock, Gospel, Blues... if you pass by, you cannot miss it!!!! I updated the calendar, removing some dates of the Brianza Open Jazz Festival where I'm not involved and suspending two of them for which my presence is not confirmed. I published some pictures from yesterday's Family Shakers show, and I splitted the photo gallery into subsections, for a quicker loading. Just a change of style for the calendar page. Some updates in the calendar page. Lots of new entries in the events calendar, related to the Brianza Open Jazz Festival for which I work in the organizational team; many important jazz events for those who will come to the north of Italy between mid-June and mid-July, all free except the first one. Due to the heavy changes that occurred to the project named "Love Revue", the actual band is committed to modify its name as soon as possible; future dates may be still promoted under the old name, but only if forced to do so by the organizers. I did some slight changes on the navigation menu; most of all I added the Events Calendar page. This is the banner of the event where Mike Painter & The Family Shakers will play on August 5 in Toulon, France; click on it to download the poster of the event. I corrected a technical problem for the users of Internet Explorer 6 (note that the older 5.5 version was working perfectly...). That's it: the OverTime story is translated; now the site is fully bi-lingual. I also added some other photo galleries! Several new concert dates are coming, so I decided to put them shortly in a separate page with a full calendar of events. You got it! The Photo gallery is officially open! I still have some compatibility problem with the site navigation menu, but I really wanted to break the ice. New translation: the Love Revue intro. I translated a couple of missing pages: my "bio" and the Rainbow Singers intro. Also, the picture galleries are coming before end of next week, with about a hundred photos of Mike Painter & The Family Shakers and the Love Revue. I finally began the translation of the remaining pages, i.e. the bands' intros and my "bio" page; as usual, some will be just a partial version of the Italian one, to keep only the information that may be relevant for non-Italian people. The Love Revue has a new guitar player! The band is passing thru an important phase of "re-thinking" about the whole project, and this is the first result. Stay tuned for more hot news... and come to their next gig over the Lake of Garda the 20th of May (more on this ASAP). Mike Painter is back in studio with new ideas; he is working on new tracks which will be probably included on his second album. Meanwhile, the new live repertoire (including several vocal songs for me...) is under rehearsals for the upcoming gigs. At last! I finished some translations: the page about my occasional collaborations with other artists, and most of all the page about my encounter with the late Jimmy Smith (don't miss this one). The bands' pages will be translated as soon as I prepare their image galleries. 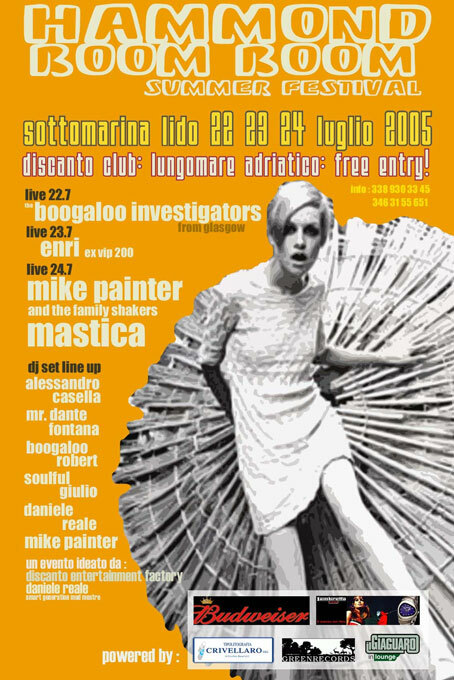 If you're in Milan on Friday 11 March: Marcus Pepper Love Revue featuring Samantha Burgess, live at the "Cantiere Delirio"; free entrance, first drink at 8 Euro. After the show, "quality spinning" by DJ Henry and Roger Ramone. If you will be there, come to me and say hello! Mike Painter live at the "Jail" (no, not a real jail...) of Legnano (MI), Friday 6 May, to be confirmed soon. The first change you may notice is about the "cover page" of the site, which now redirects automatically (a few seconds after loading) to the English or Italian section according to the main language settings of your browser; you may still switch to the other language by clicking on the flags as usual. I'm preparing the bands' discography and image galleries. 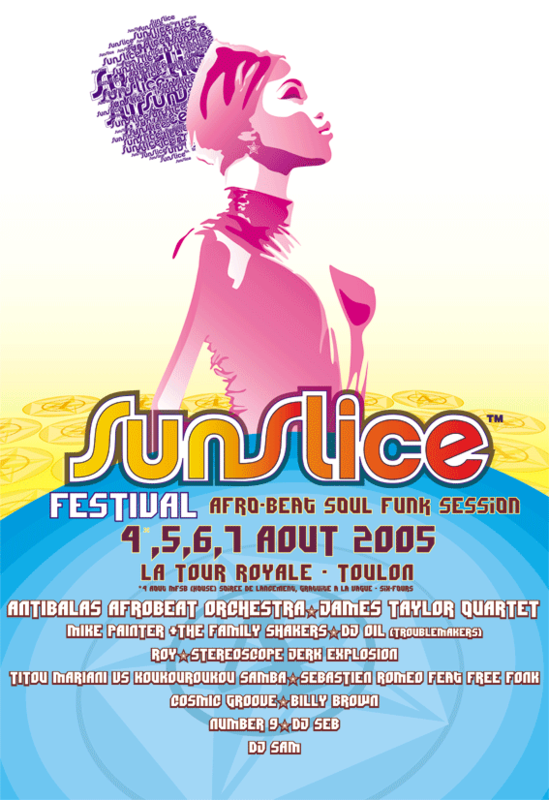 Love Revue: some live dates are expected in 2005, including some outside Italy. The band also started working on a second album, which will include mostly new originals (and a few selected cover songs).